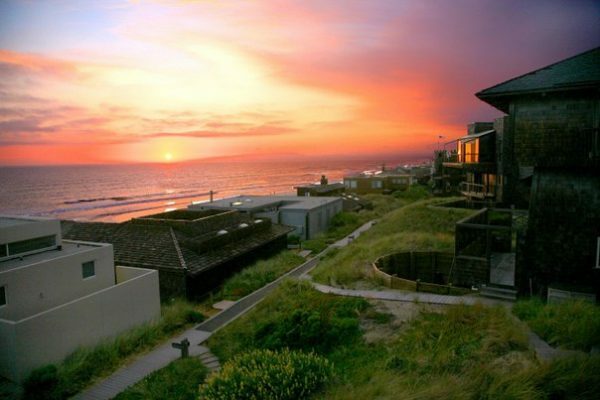 Less than an hour’s drive from the hectic pace of the Silicon Valley, some of life’s luckier souls are fortunate to live and play in the pristine tranquility that is PAJARO DUNES. On the west, The Dunes are washed by the Pacific Ocean, tamed to a gentle surf by the gradually shelving bottom of Monterey Bay. The southern tip spreads into a broad fan-shaped beach where the Pajaro River meets the sea. To the east, The Dunes are separated from the pastoral farmlands of Pajaro Valley by the reedy quiet of Watsonville Slough. Only at the northern boundary of The Dunes, where it is less than a quarter-mile wide, does this long, narrow peninsula, with its island-like remoteness, privacy and security, connect to the mainland. This seclusion affords precious habitat for many species of birds, as well as a splendid array of native plants. As part of our commitment to caring for our community, we have donated space to the Friends of Pajaro Dunes. These local citizens are dedicated to careful stewardship of this special environment. Visit their informative display while you are here and gain a deeper appreciation of the beauty that surrounds you. A spectacular variety of weather pervades The Dunes, from the serene mist shrouded mornings to sun-drenched days and the pleasures of swimming and sunbathing on miles of white sandy beaches where Sanddollars abound and Dolphins, Sea Otters and Seals play in the surf. Day and night, The Dunes are bathed in an invigorating atmosphere of fresh sea air, washed clean by its journey across thousands of miles of open ocean. 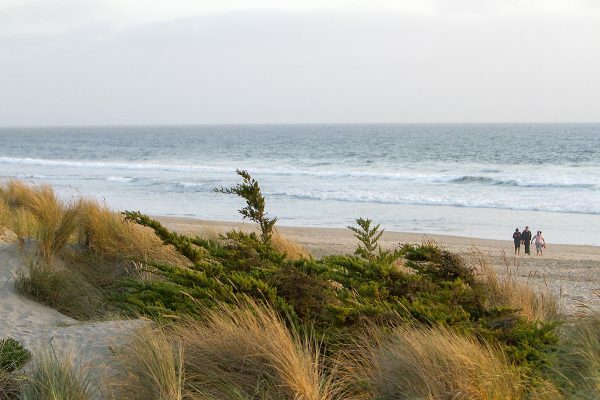 A leisurely stroll around The Dunes 150 acres reveals its abundant natural pleasures. The mile-and-a-half beach is nationally-acclaimed as one of the finest on the coast of the western United States. It is shallow for hundreds of feet into the sea – excellent for swimming, surfing, skim-boarding, and surf fishing. The updrafts at the brow of the dunes create great kite-flying conditions – long ago discovered by the gulls, terns and over 200 other species officially reported in the adjacent bird sanctuary. On the shallow tidal slough, which parallels the beach to form the Pajaro peninsula, there are endless opportunities for rowing, kayaking, paddle-boating… and heavenly walks along the surf. Year-round activities range from the exhaustive to the meditative. Many lie only steps away from your home in The Dunes, including biking, hiking, volleyball, beachcombing, body surfing, bird watching or just lying on the beach washing your cares away.